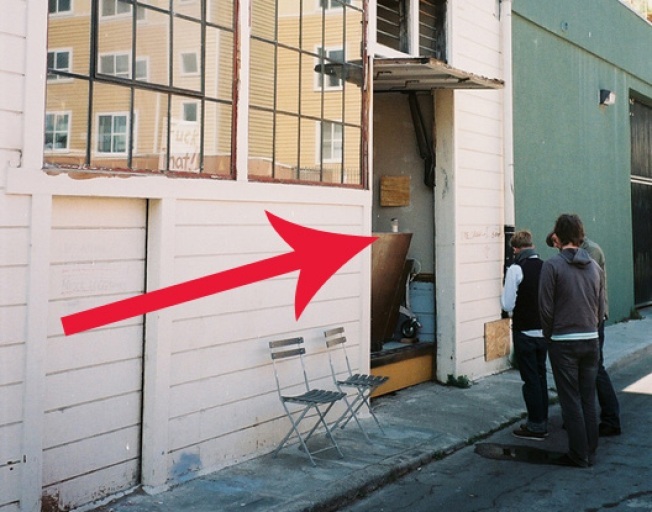 Don't look now, but Four Barrel has gone old school and brought back its discreet outpost in the alley behind the cafe. Remember that once upon a time (2008), while the actual coffeehouse was under construction, Four Barrel started making its name with the humble coffee cart around the corner on Caledonia, but once the cafe opened, the cart was put on ice. But now she's back, serving all the Four Barrel drinks (no food though) from 8 a.m. to 1 p.m., and possibly helping out the morning line situation.